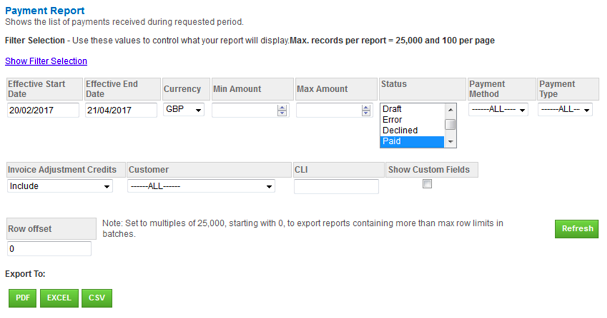 Payment Summary Report - Shows the summary of payments received during requested period. Payment Report - Shows the list of payments received during requested period. 3. Enter the details you would like to in the report generation screen.